Orient Monroe is both an eye-catcher and a conversation starter. Looking like something straight out of science fiction, Orient Monroe tower fan is not something you’ll get to see every so often. 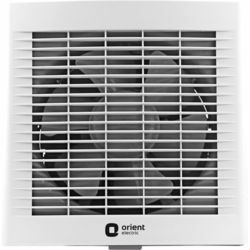 A perfect addition to any modern setting, this lifestyle fan boasts a nice, slim design and features a strong and reliable motor to ensure good airflow. Orient Monroe runs so silently that you will hardly notice that a fan is running. Being compact, this fan fits easily into any space big or small, be it your home, shop or office cabin. 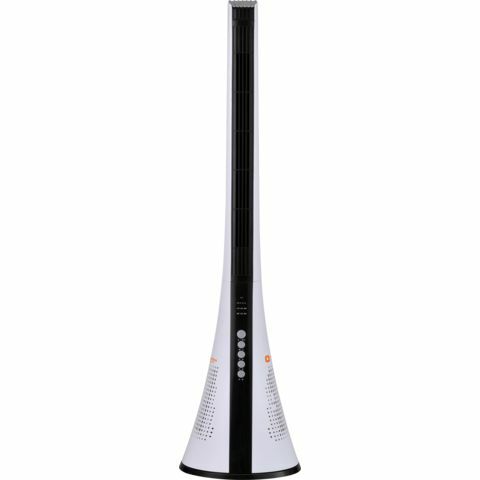 The classy fan comes complete with 3 speed settings, in-built timer and remote control for ease of use. 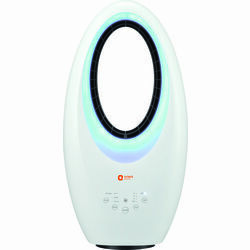 Also, the fan has three different mode of use namely Natural, Normal and Sleep and when used along with an air conditioner, this fan significantly increases air circulation inside the room. 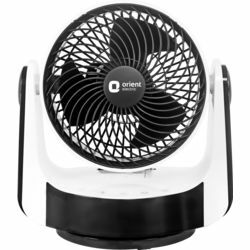 With such an inimitable design, Orient Monroe tower fan is sure to become the focal point in any setting.